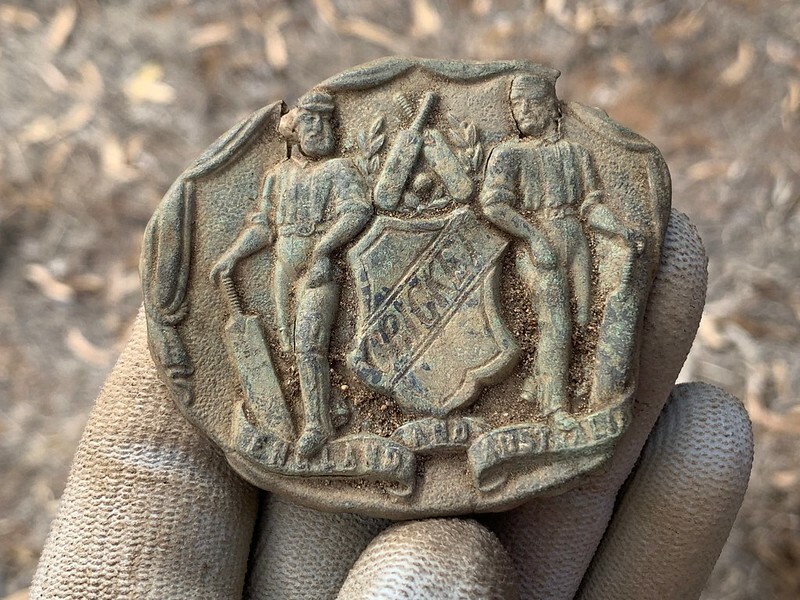 Hey guys, some of you may have seen on my other post that my wife found this Australia and England cricket buckle. We didn't know it at the time but after posting it online we have found out its 1890 and the only one like it. There is another one similar but doesn't have the curtains around the outside. 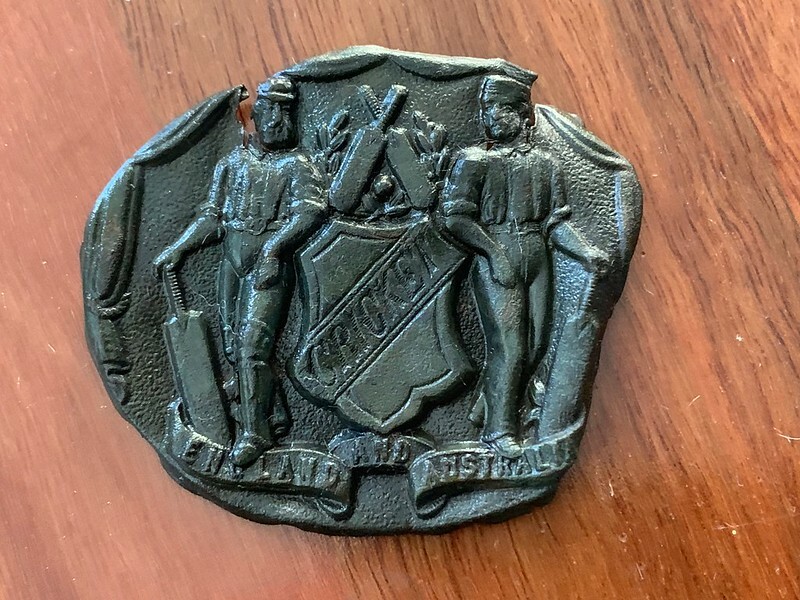 So being a very unique piece if the earliest ashes cricket history and maybe the only one like it around would anyone know what price we could get for such a piece? It will be for sale just working out a price to start at. after a very very careful clean up..
Do you think that cleaning it with CLR might decrease it's value,for you I'm hoping not. A top find which ever way you look at it. Note - do not forget that my every word is being monitored. Too late if someone has already bought it though. What a good find. I`ll be keeping an eye on that auction. I looked at Dutchy`s finds from a couple of years` ago ,too. How many different sorts of these buckles were made ? Hundreds or thousands ? I`d love to dig even one of these up from the ground.